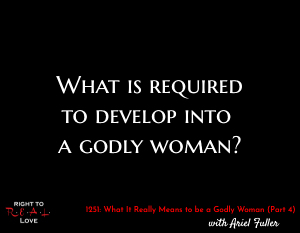 In this episode, Yahnathan concludes his discussion with spiritual mentor Ariel Fuller by addressing the question: What is required to develop into a godly woman? What is required to develop into a godly woman? How the Holy Spirit can help women develop into godly women. The value in developing spiritually.